BLCU, known as Little United Nations, is the only university of its kind in China that promotes Chinese all over the world and offers Chinese language and culture courses to foreign students as well as a multidisciplinary university featured in language teaching and research. 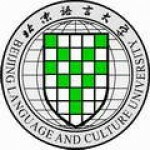 Since its foundation in 1962, BLCU has been an important academic base for language and culture research and the cradle for international talents in China. Oops! There are no events at the moment. Why don't you add one or check out the site-wide events by clicking on "Events" in the main menu?